We are fully booked for 2019, but we are now scheduling for 2020. Contact us to schedule a tour today! Idyllic and picturesque, Rustic Rouge is located in southwestern Michigan nestled in the beautiful farming district of Wright Township. We are located 15 minutes from Grand Rapids. Close to the city, yet a world away. Our location on a quaint dirt road, off the beaten path creates a longing for yesteryear amidst the setting of an historic homestead. Our restored turn of the century barn has been beautifully renovated. This rural, peaceful setting is ideal for weddings, receptions, and corporate events. 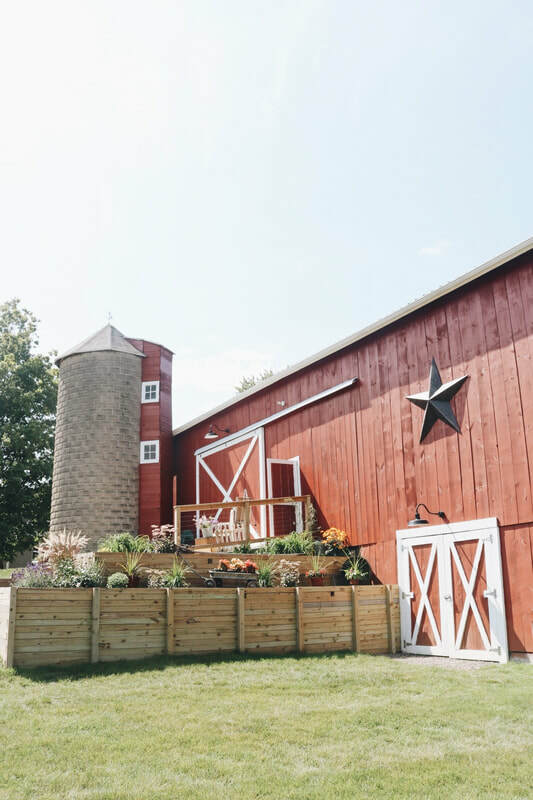 The property provides several ceremony and reception options including the barn, the large covered deck overlooking acres of pastoral fields and orchards, or on the lawn amidst an open field.